KATHMANDU, June 13: Security presence in the Tarai districts has been increased by up to eight times compared to normal in view of the challenges the government could face during the second phase of the local elections. Four more provinces are scheduled to go to polls on June 28 amid threats by the Rastriya Janata Party Nepal (RJPN) disrupt the polls. Officials at the Ministry of Home Affairs (MoHA) said the ministry has made an up to eightfold increase in security presence in tarai districts to ensure free and fair elections. “We have already deployed four to eight times more Nepal Police and Armed Police Force personnel compared to the number we used to deploy earlier in the tarai districts. The deployment was based on recommendation by security agencies and the local administrations,” a senior official at MoHA told Republica without divulging further details. The official said that that the ministry has kept 'some security forces' on standby for deployment on need basis. Nepal Army staffers will be separately deployed during the polls. Several districts in the tarai plains remain highly susceptible to poll-related violence due to renewed threats from poll-opposing parties to disrupt poll campaigns of the political parties and activities of the Election Commission. On Sunday, RJPN had unveiled a series of protest aimed at sabotaging the election. Since the announcement, RJPN cadres have made unsuccessful attempts to disrupt poll campaigns of other parties in Janakur, Saptari and some other districts. A day after three poll officers were beaten up by RJPN cadres in Bara district, Chief Election Commissioner Ayodhee Prasad Yadav on Tuesday met Home Minister Janardan Sharma and demanded that the government beef up security in the tarai. “We briefed him [Minister Sharma] about the threats facing polls officers and inquired about the ministry's security arrangement for candidacy nomination slated for June 17,” said Yadav. Sharma told Yadav that the government was making necessary arrangement to ensure free and fair elections. Based on threat assessment analysis of the security agencies and reports provided by the local administration, the government has put most of the polling stations of the tarai districts in extremely sensitive category. “In Sarlahi, neighboring districts bordering India and especially sourthern part of those districts, there is especially bigger challenge to maintain poll security. It will be more difficult to hold polls in these areas than in the areas adjoining the vicinity of the East-West Highway,” Laxmi Prasad Kharel, spokesperson of District Administration Office, Sarlahi, told Republica on Monday. MoHA spokesperson Deepak Kharel said that the ministry is taking best possible measures to ensure free and fair elections. 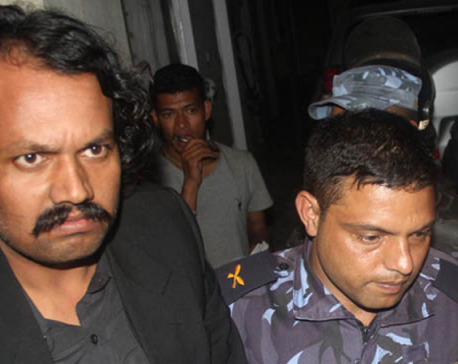 “The ministry is working to make best possible arrangements to provide security to election officials, voters and political parties,” said Kharel.